How Much Does a Handbrake Inspection Cost? 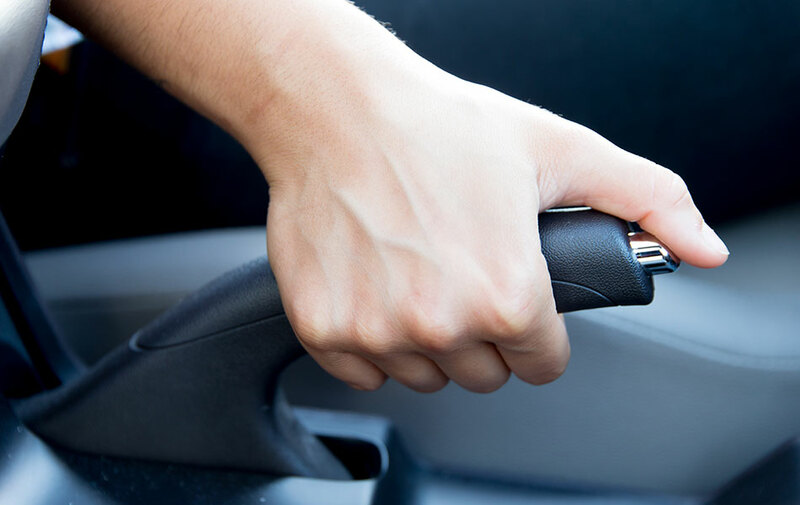 The Handbrake – or Emergency Brake – holds your vehicle in place whenever you park to prevent it from moving. It is also handy for performing hill starts and is designed to be a backup system in the event of complete brake failure. The handbrake is a secondary braking system that is mainly used when parking to prevent the unattended vehicle from rolling away. It usually a cable operated system, using a lever inside the cabin to manually activate the rear brakes – although some newer vehicles have an electronically operated parking brake. How is the Handbrake Inspected? There are two methods when it comes to inspecting and adjusting the Handbrake. The easiest option is to adjust the handbrake at the lever. This removes any unnecessary slack in the handbrake cable. The other option is to inspect and adjust at the rear wheels. This involves removing the rear wheel and inspecting the braking components and carrying out an adjustment if needed. How often should I have my Handbrake Inspected? There is no set interval for handbrake inspections, but once a year or when you notice it doesn’t hold will ensure that your vehicle is in a safe operating condition.